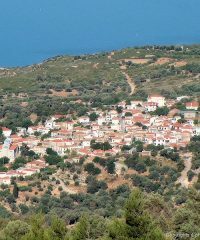 Marathokampos district contains all villages and settlements of South-West part of Samos island. 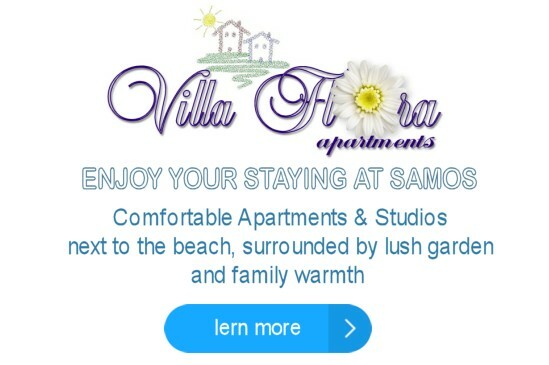 Incorporated 6 villages and the famous tourist resort of Kampos Marathokampou (or Votsalakia). It is 87,2 sq.km in extent with population 2.700 inhabitants. It is a picturesque sandy and pebble beach, with crystal clear and calm waters as protected by the small bay where it is located. Located close to the main road, with restaurant and hotels at the region. it is a pretty long beach with medium and large pebbles. 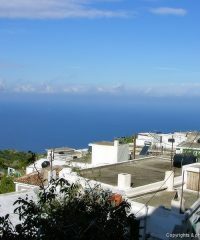 They have many access points, but the best is from Ormos Marathokampou settlement at west of the beach. 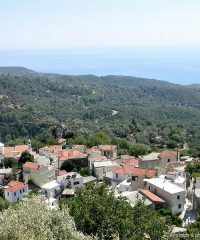 Kallithea village it’s built in a green landscape, with excellent view to the west, and you can also enjoy a spectacular sunset. 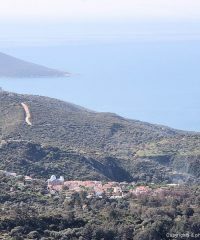 The monastery of Kimisis Theotokou (Greek Κοίμησις της Θεοτόκου = The Assumption of the Virgin Mary), was founded in early 19th century by monks group of Mount Athos. 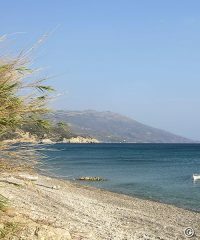 it is a small very beautiful sandy beach, with turquoise crystal clear and shallow sea, an exotic corner at the edge of Greece. 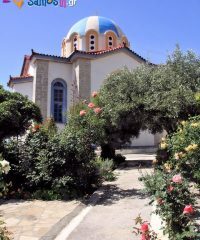 It is simple and small Monastery, located on the northern slopes of Kerki mountain. Ιt is unknown when it was founded, probably the 19th century or later. it is paved with white and colorful, medium-sized pebbles and crystal clear waters. The sea is calm, since enclosed by bay which that protects the beach. To avoid the crowds and be more comfortable you can go to the western part of the beach, or to go at a small individual beaches after the main beach.